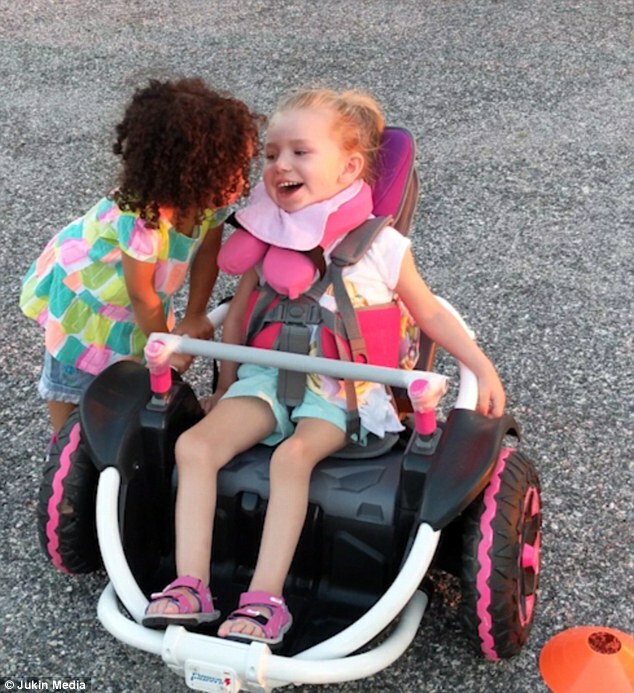 This is the lovely moment a little girl helped her disabled friend operate a new electric wheelchair. Young Abby whispered some words of encouragement in her friend’s ear before taking her hand and placing it on the handlebar. 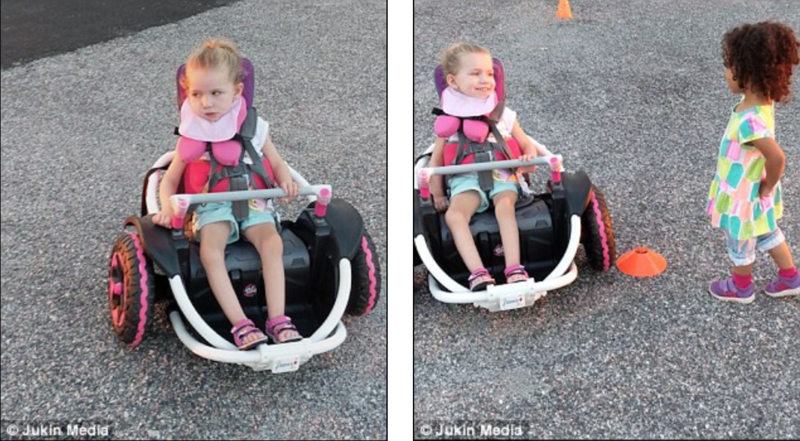 She then took a step back and watched Rosie buzz around in her new chair with a beaming smile. Flies were buzzing around my head. A small plane buzzed past. Something was buzzing around me as I tried to sleep. Parents can be heard cheering while they film Rosie driving in and out of cones on what seems to be an obstacle course. 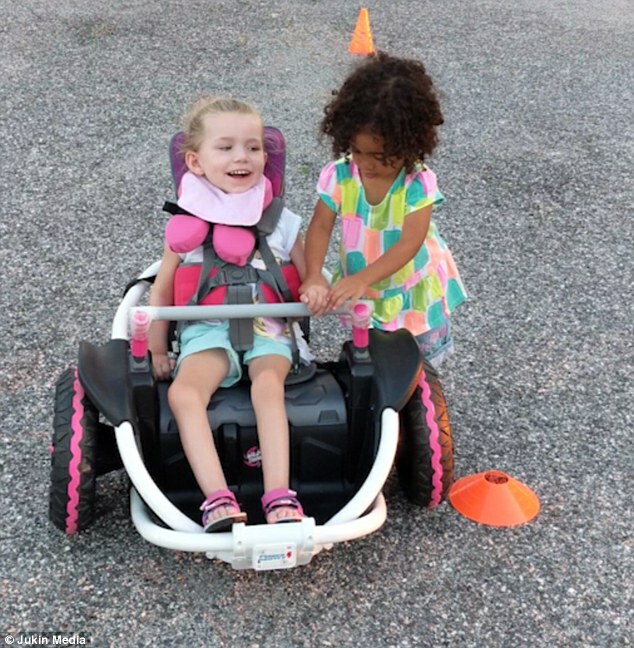 But when the child’s chair comes to a halt, her motivational friend comes to her side again and begins talking into her ear – presumably giving her more words of encouragement. The pair can be seen giggling and staring into each other’s eyes as they chat to one another. 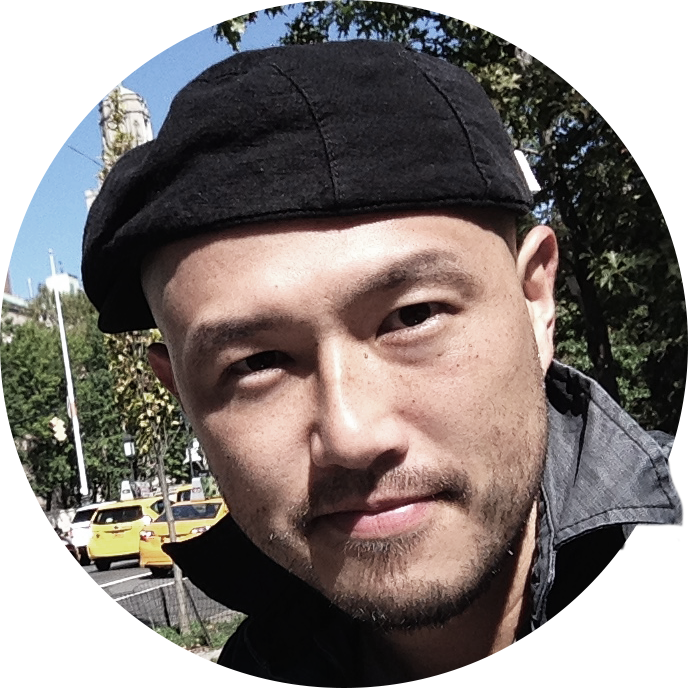 The taxi came to a halt outside his front door. The bus came to a halt (= stopped) just in time to avoid hitting the wall. In the middle of their conversation Abby skips round to Rosie’s other side to continue their chat before muttering a few more inspiring words. After their chat Rosie speeds off on her chair again and starts slaloming around the obstacles. The heartwarming clip was filmed in York, Pennsylvania. He turned and went upstairs, muttering to himself.